Our subtitle may sound like the newest novel from Tom Clancy or Stephen King, and if you were an olive, you might just feel that way. A while back, a subscriber asked why an older ornamental tree that had produced olives for years might suddenly stop producing for five years. The fact is, we still do not understand all of the physiological and genetic science of our beloved olive, but we can share some background to help you understand what happens in the olive orchard at this exciting time of year, and speculate on the fate of the aforementioned tree. Our wily but beloved olive trees can produce olives for hundreds of years. Yet olive trees typically alternate between bearing small crops and normal crops every other year. For no apparent reason, they can also go for 2 - 3 years without bearing fruit. 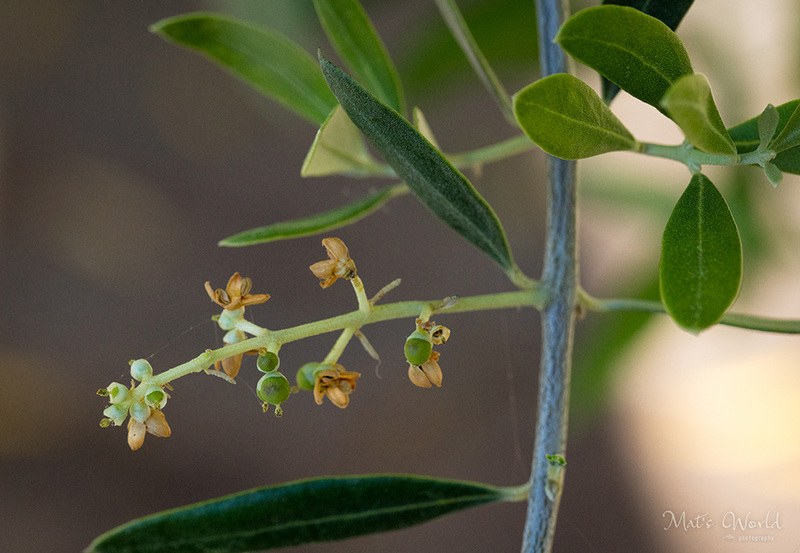 While there is still more to learn about the olive tree’s reproductive process, our answer begins with understanding that this year’s fruit development began last summer. This fact also helps us understand why care must be taken when we prune our orchards. 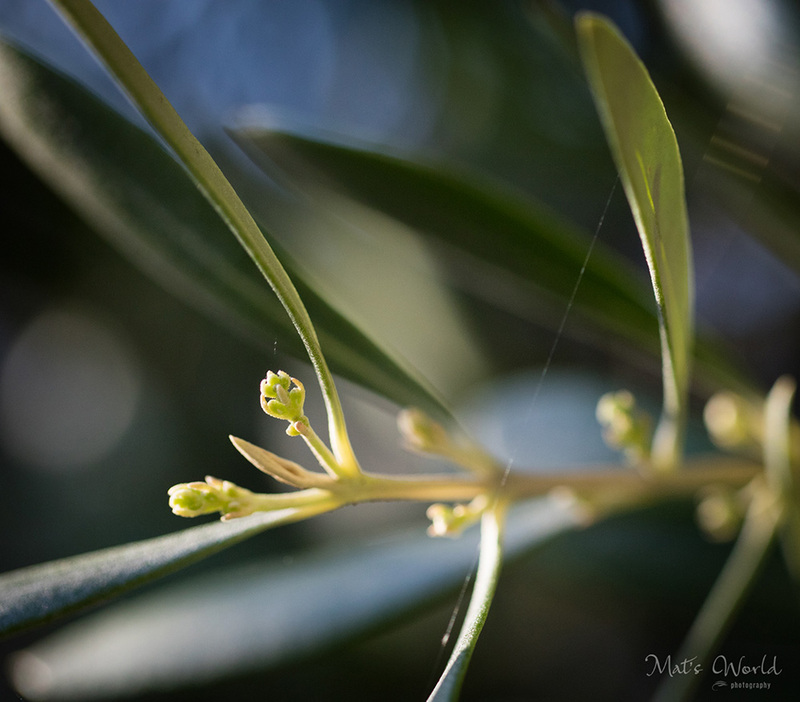 Olive trees produce fruiting shoots called inflorescences, which originate at the axil of a leaf. Each inflorescence will typically contain 10 to 30 flowers depending on the cultivar. 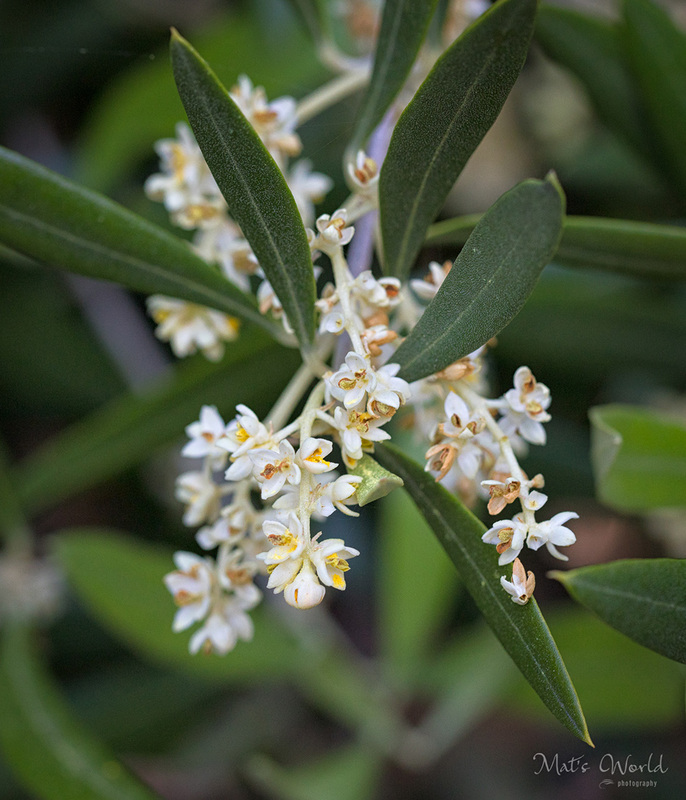 The number of flowers that then mature into olives is dependent on a number of factors. Before flowers bloom, they go through a differentiation period. No, this is not some modern politically correct exercise, but it does have to do with the sexuality of the blooms. This generally takes place March through May and results in one of two results (although there is some new research indicating that there may be a third possible result). Why are there staminate flowers and not just perfect (hermaphroditic) flowers? There are a number of theories and reasons, but here are two main points: 1) It takes a great deal of energy to develop the pistil (or ovule - think of this like the human ovum). 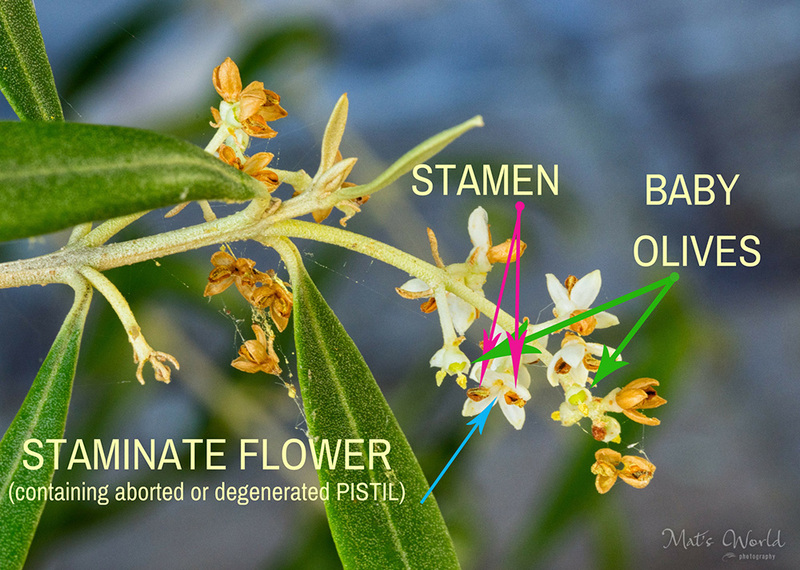 The tree has to moderate the number of pistils it is able to develop with the nutrients available to it; 2) In order to pollinate the pistil, the tree is dependent on a high volume of stamens – stamens don’t have the same nutrient requirements as the pistils, so the tree exercises her “nutrient economizing” by terminating pistils (ovules) as needed. Orchard stress, in particular water stress, can negatively impact this portion of development. In competitions between flowers and leaves, the leaves win, and the first floral part to fail is the pistil. A moist soil profile during this period can help prevent this kind of stress. 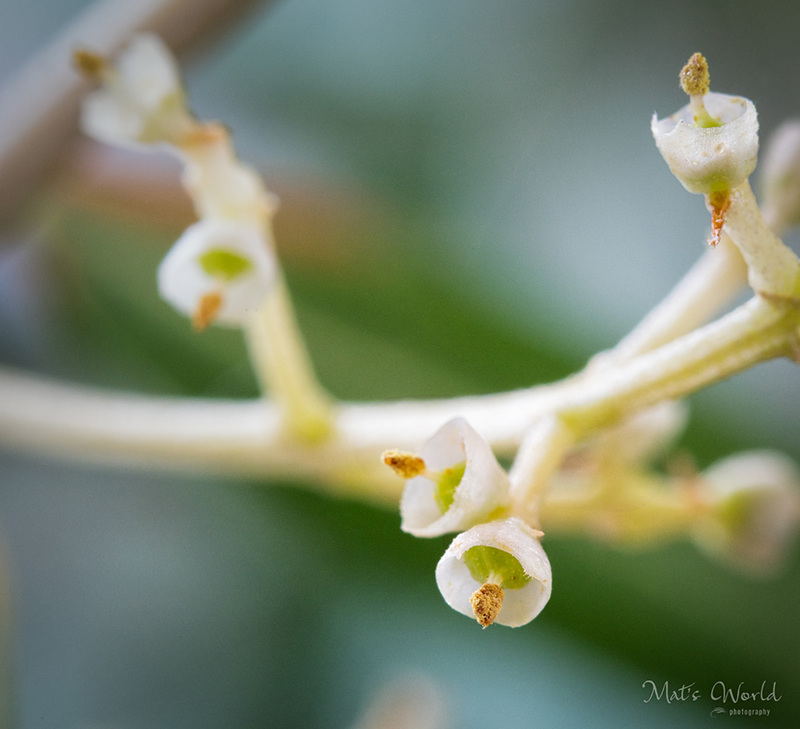 Pistil abortion occurs naturally, and is not perfectly understood. As alluded to above, it may be a result of a lack of nutrition in the tree. Pistil formation must compete with vegetative growth for nutrients at a time when both are working their hardest. In addition, following a big harvest year, the tree’s nutritional resources have been depleted. Yet, if only 1% - 2% of the flowers are able to set fruit, the grower will still enjoy a satisfactory crop. 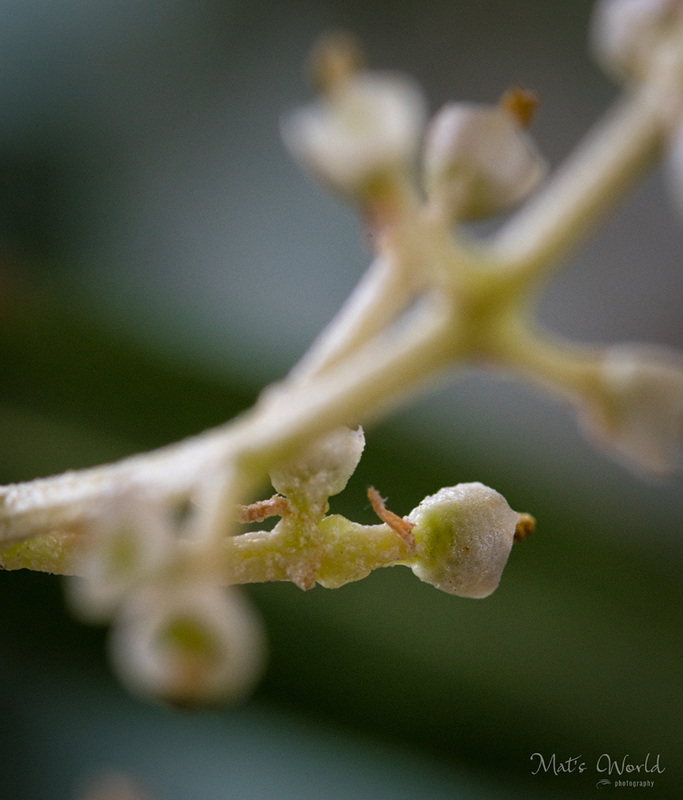 If a tree is blooming, but no olives develop, this could be because of a mechanical disruption to fruit set. Wind, rain, and/or hail can knock off the blooms just at this critical time of the year. According to the Olive Production Manual (University of California, Agriculture and Natural Resources), “...some 500,000 flowers are present in a mature tree...” at time of full bloom. Within two weeks of full bloom, most of the flowers will have failed, with only 1 – 2% then maturing into full-grown fruit. 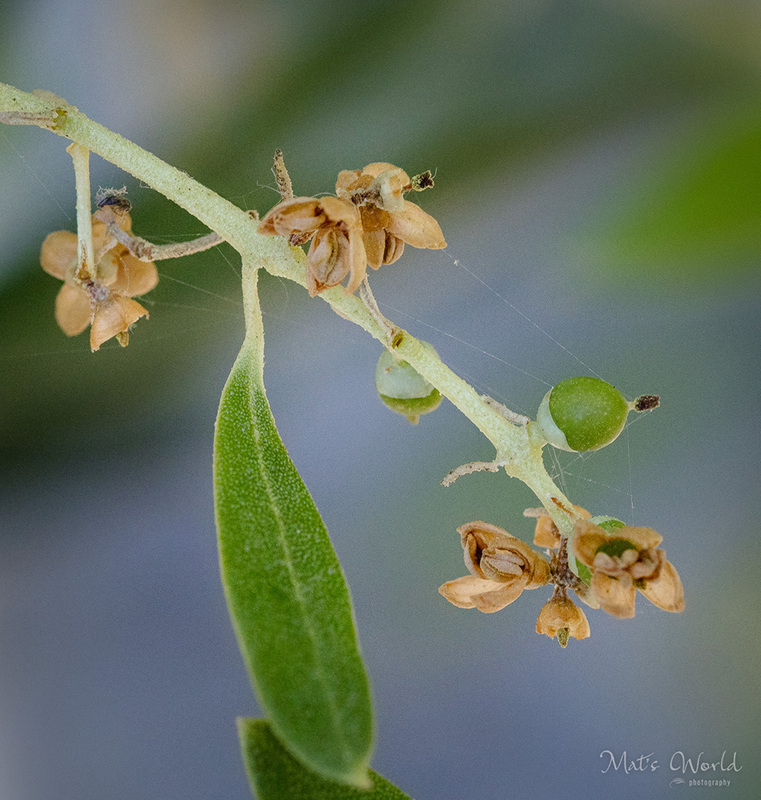 Because of their geometry, olive flowers self-pollinate. The anthers (located at the top of the filaments attached to the stamen) drop pollen on the stigma of the pistil. The pollen grains germinate and olive growth is underway. Though not necessary for pollination, wind and bees may aid in pollination by disturbing the flower causing pollen to fall from the anther to the stigma. Cross-pollination occurs when wind or a bee transfers pollen from one flower to the stigma of another flower. As bees are not particularly fond of olive flowers, they do not typically play a large role in the olive orchard. For a number of commercial California cultivars, cross-pollination is necessary to produce viable annual commercial crops. Care must taken in determining which pollenating cultivars to mix with others in the orchard. SO WHAT ABOUT THE OLDER ORNAMENTAL TREE THAT’S NOT PRODUCING? Older olive trees have no need for Viagra, but many olive varieties cannot self-pollinate. For these trees, olive pollen is primarily carried by wind. Bees may play a minor role in pollination. If a solitary tree in an urban area stops producing, it might be because someone removed the nearby tree that was pollinating this tree. Even if the flowers are pollinated, fruit may fail to form if sprayed with an abscission agent. These are sprays that keep fruit from setting so that olives do not develop. Farmers who sell to the canning industry apply such sprays so that fewer but bigger (and more profitable) olives will grow. Olives can be a messy fruit, leaving blackish stains on parking lots and carpets. Ornamental trees in parking lots or apartment complexes are sometimes sprayed so that no olives will develop. Or...it may be that a perfect storm of the above noted factors have conspired to doom this tree’s reproduction process five years running. Breton, Catherine, André Berville. "From the Olive Flower to the Drupe: Flower Types, Pollination, Self and Inter-Compatibility and Fruit Set." Intechopen.com. Intech. 10 April 2013. Chapter 12. Web. 25 May 2017. 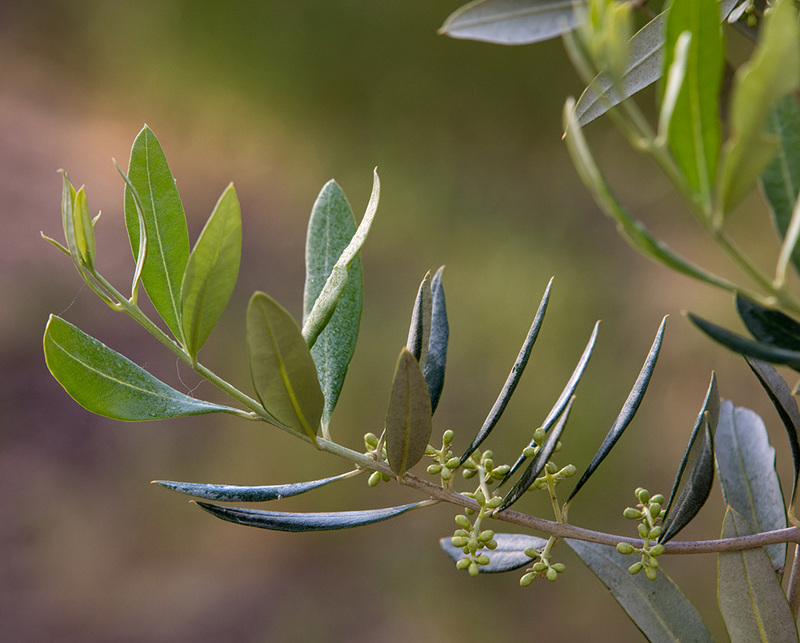 Hartmann, H. T., "Olive Flower-Bud Formation, Nutrients Essential to Tree During March and April When Flower-Buds Are Forming Tests Show." UCANR.EDU, California Agriculture. November 1950. 4-5, 16. Web. 25 May 2017. G. Steven Sibbett and Louise Ferguson: Olive Production Manual, University of California, Agriculture and Natural Resources, Publication 3353, 2005. Print. "Third Gender Identified in a Close Relative of the Olive Tree." PHYS.ORG. Science X Network, 30 March 2010. Web. 25 May 2017.